Eliana M. Cancello, Rogério R. Silva, Alexandre Vasconcellos, Yana T. Reis, and Luís M. Oliveira. 2014. Latitudinal Variation in Termite Species Richness and Abundance along the Brazilian Atlantic Forest Hotspot. Biotropica 46(4): 441-450. In this study, we investigated the termites of the Brazilian Atlantic Forest, one of the most threatened biodiversity hotspots in the world, in regularly spaced sites from 7° S to 27° S latitude. To our knowledge, this is the only report of a latitudinal survey of termites at species level performed with a standardized sampling protocol. We evaluate termite diversity and abundance, and describe patterns of species composition based on feeding groups along the latitudinal gradient. We also describe the relative contribution of environmental variables to explain diversity patterns. 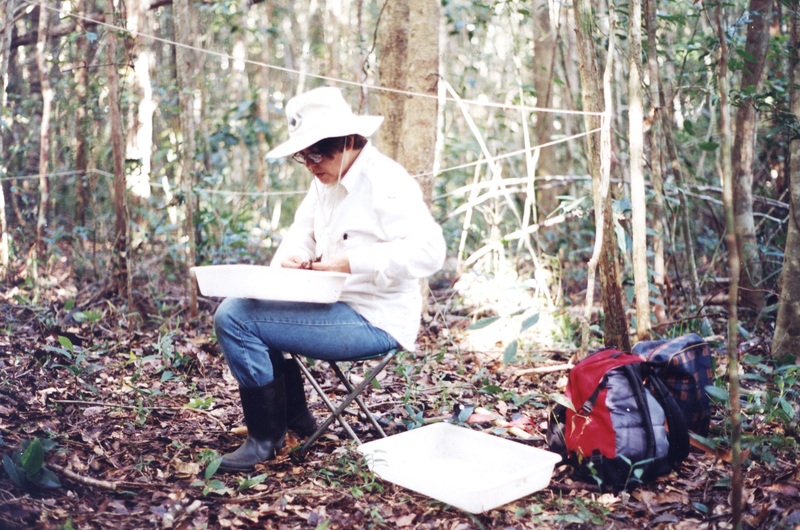 Termite assemblages were investigated by standardized surveys at 15 Atlantic Forest sites, on six transects divided into five sections of 10 m², with 30 sections per site (or 300 m²/site), which were investigated by one trained person for one hour. Observed species richness and abundance were negatively correlated with latitude. The influence of latitude was explained mainly by variables related to temperature, precipitation and ambient energy (potential evapotranspiration). Our results also suggest that temperature exerts a greater constraint on Atlantic Forest termites than productivity, because ambient productivity increases with latitude in this forest but termite diversity decreases. Termite species richness in the Atlantic Forest showed a different pattern than those described for other organisms, increasing in diversity where the coastal-forest strip narrows. Overall, our results indicate comparatively high termite species richness at northeastern sites and a significant impoverishment of termite assemblages in the southeastern and southern regions of the Atlantic Forest. 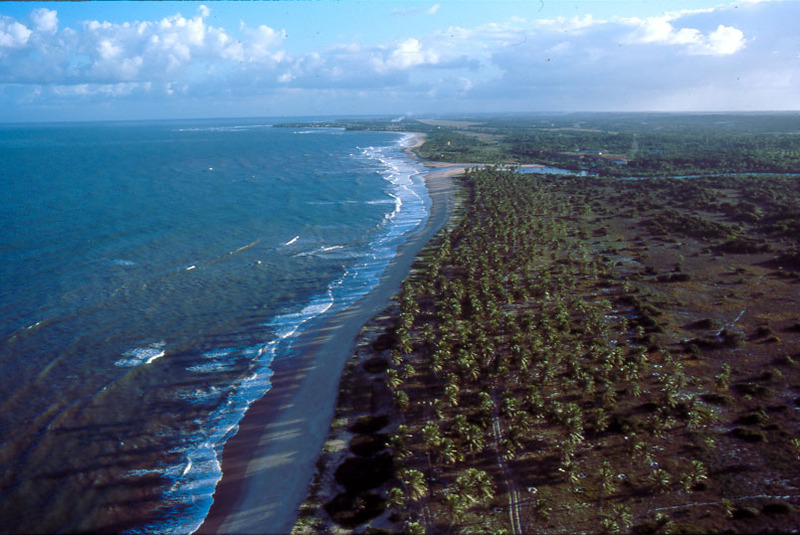 Aerial view of the beach near that collecting site (Sapiranga). 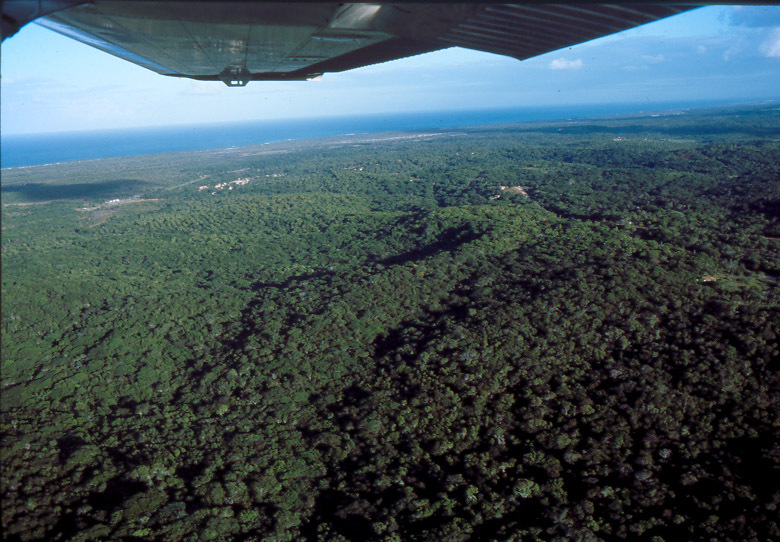 Aerial view of the Reserva Ecológica de Sapiranga (RES), in Mata de São João, state of Bahia, Brazil.